Every so often around here, Mr. T and I take a good, hard look at ourselves. Then we sneak a quick glance at our kids, which reminds us how important it is that we exercise and eat right. Then, of course, we go on a crazy health binge that lasts for a few weeks before petering out to our usual "meh" state of health. I'm pretty sure that isn't healthy. For anyone, least of all our kids who are watching that take place. So when we started getting that feeling again recently, I made a point to start us on a plan that wouldn't result in the same ole thing. We aren't big people, but that doesn't mean that we are healthy people. Thin does not equate healthy. Or fit. So I started finding little things that we could do to improve our health and fitness without going overboard. 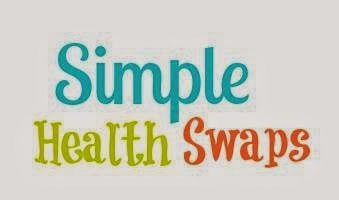 One of the first things that I found was a Facebook group called Simple Health Swaps, that is dedicated to clean eating, being healthy, and making small changes in your life that add up to big health. This group has given me TONS of great ideas for eating well, getting my daily needed water (not my strong point, as I would much rather have coffee... which I don't drink anymore... we've discussed this, yes? ), and just motivating me to be a better, more awesome version of me. And who doesn't love a more awesome version of themselves? The next thing I (and by "I" I mean "We") did was to start exercising again regularly. Well, semi regularly. See Mr. T and I have a bittersweet love affair with P90X. Bitter because, well, have you seen P90X? It's pretty much hell (and I mean that in the nicest possible way). And when we are in no semblance of fitness, it is next to impossible to do. And it's sweet, because once you stick with it for the first few of weeks it is almost bearable. Almost. And the results really are amazing, if you are dedicated to it. Which I am not. But I am going to try harder to be. 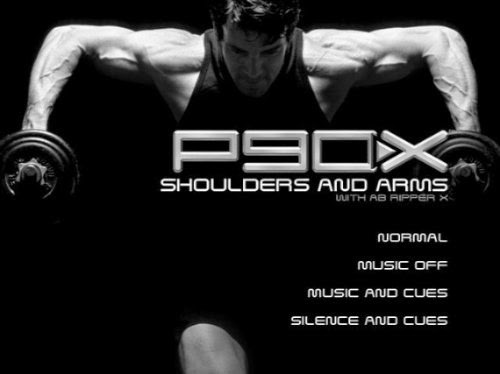 But we did decide to start throwing some P90X back into our lives... when we can. Which means we try to do it 3 times a week, but we aren't being crazy about it. Mainly because it turns out that in our advance years we don't bounce back the way we used to. 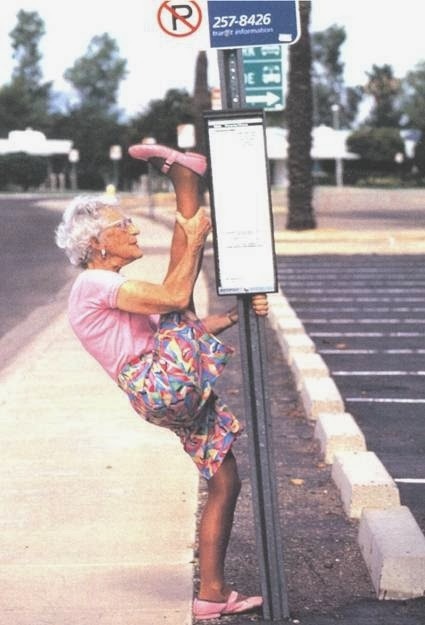 I don't remember being this sore when we used to do this! Anyway, if it fits into the day, we do it. If it doesn't, we try to fit in something else. We walk, or swim, or hike, or do a couple of 10 Minute Trainer workouts. We just try to fit something in each day. And yes, I have been sore. Quite sore, actually, which tends to remind me why I don't like working out in the first place. But we are getting better. And maybe even a little more fit. Next, and this is a big one for me, is to adjust our eating habits. We eat pretty well, most of the time. But a big downfall for me is breakfast. I don't like to eat when I get up. Which is bad! Bad, bad, bad! Because then I am ravenous by mid morning, and eat everything in sight. So I have made it a point to start eating something every morning, and the easiest thing for me has been my Shaklee Energizing Protein Smoothee. I like this because it fills me up, and keeps me full until lunchtime, so I don't binge eat my way through the day. I add some fruit, some milk or almond milk, some ice, and I've got a meal. A really, really good meal, too. I also started taking Shaklee's Vitalizer strip vitamins. Lastly, we have started trying to have a bigger lunch, and then just having something light for for dinner. A big salad, or an easy wrap or something like that. Something to give us some nutrition for the night, but not make us so full that all we want to do is lay on the couch like slugs. This one thing alone has helped me tremendously. I don't go to bed feeling too full, which means I sleep better, which means I wake up easier... you see how it all is linked? So what is the goal here? The goal is to keep introducing things into my life that are low stress, easy to implement, and sustainable. We want to be around for our kids for a long time. We want to be able to keep up with our kids for a long time. But I think I'm going to need another life to make that happen. If you are interested in finding out more about how I am transforming my life with simple steps and Shaklee, shoot me a message! I would love to talk to you about it! You won't regret it! For more info on how Shaklee can make your life and home healthier (and wealthier! ), visit here! The house is cleaned from the inside and the flooring is cleaned with the best tools and the soils are removed so that the flooring turns to bright floors emitted by glitter. A house cleaning company in Buraidah has special skills in cleaning houses and turning them into a clean kingdom for the most beautiful time. The company provides the largest warehouses to clean up and wash the furniture and these large warehouses are equipped with all the possibilities used in cleaning and modern steam, powders and tools. A house cleaning company in Buraidah transformed the dream into reality and managed to find solutions to all the difficulties and problems faced by homeowners.